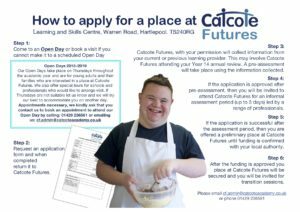 Admissions to one of the accredited education programmes offered by Catcote Futures are agreed under the framework of the Admissions Policy, which was agreed by Governors in January 2018. In accordance with the SEN Code of Practice (2015), the admission must be compatible with the efficient education of other students. A full copy of our Admissions Policy is available on request.